Why is it so Important for the Family to be Educated on Recovery? While early recovery from addiction can be tough on the individual, it is also tough on the family and friends. In fact, it may even be harder on the family than it is the actual addict. In many cases, it is the family who has been enabling the addict, and they may not even know it. And when they do realize that there is an addiction problem, the family may find it extremely difficult to bring up the addiction and therapy. This can lead to the family ignoring the problem altogether, in fear of pushing away a loved one. This is an article about the importance of a family being educated on the do’s and don’ts of early recovery and how the whole family system is affected by addiction and how everyone must do their part to have a successful recovery process. There are three stages that a family needs to be educated on when it comes to addiction. Before the addict goes into recovery, during their early recovery, and post sober living. Each of these stages is it’s own part of recovery that a family will need to know about. For the family of an addict, pre-recovery may be the hardest part. The family must acknowledge that there is an addiction problem and then address that problem. Since each family dynamic is different, the best way that they approach the family involvement with the addict will also be different. Depending on the personality of the addicted person and the relationship with the family, it may be best to have an honest talk simply. It can be done in private or with the family as a whole. Another way to approach the subject of addiction treatment would be to include a counselor. No matter which approach the family decides to take, be sure to keep in mind that the family dynamic in any type of addiction is an incredibly powerful one. By addressing the imbalance of communication, you will be taking the first step in helping your addicted family member toward therapy. This is also a crucial time to begin learning about the key aspects of addiction. For the family, take the time to read up on other family’s experiences, begin attending Al-Anon meetings, learn about different drugs of abuse, and overall begin educating yourself on what addiction looks life. It will also be important to take time to begin learning what recovery looks like. It is important to understand that even when your daughter gets sober, she will have many ups and downs. Once the addicted family member does agree to go to treatment and get help, they will either be going to an outpatient or inpatient treatment program. While each has their own benefits, it is whichever is best for the patient and family. 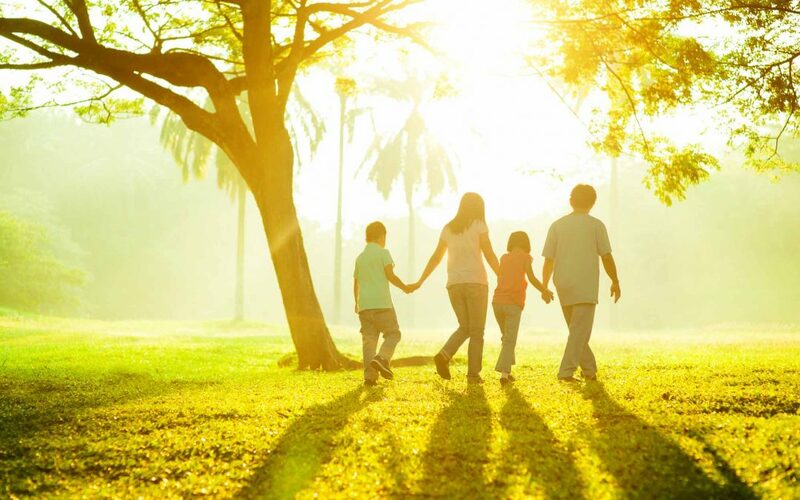 With an outpatient treatment facility, the patients get to stay with their families. They can attend their classes at a facility that is nearby their home and are able to continue with their addiction treatment for an extended amount of time. At an inpatient program, the addict will have to travel to the facility where they will go through a 30-day detoxification program before starting their recovery treatment. They are completely immersed in the treatment process without being able to leave the treatment facility. While this type of treatment does limit family interactions, it is encouraged that therapy patients frequently interact with their visiting friends and family. While both forms of treatment have their advantages, the inpatient treatment allows the addict to be removed from any type of toxic atmosphere that may have been enabling the addiction and can aid the individual through their therapy program distraction free. From the family perspective, this type of treatment gives them a chance to gain a new perspective on their own behaviors. This allows them to take a break and assess their own behaviors and the environment while the family member is in treatment. They can then make the changes they need to make to break the cycle. During treatment, there is a large emphasis on frequent and positive involvement with family. Family support is essential to an addict’s success. In fact, most addiction treatment programs also offer different sessions and workshops for the family members so that they are able to help the addict succeed as much as possible. All of these program are designed to support family and friends during and after the process of treatment. They thrive on family involvement while making it easier on the recovering addict. According to one article about the importance of a family being educated on the do’s and don’t’s of early recovery and how the whole family system is affected by addiction and how everyone must do work to have a successful recovery process, there truly is no ‘end’ to the therapy process. Families who continue to struggle with a loved one’s effects of addiction should normally attend meetings to support and further their education. When it comes to addiction, it is considered a ‘family disease.’ Family involvement with people struggling with addiction (no matter the stage of treatment they are in) requires a continual support and education. By regularly attending meetings, it will also aid the family with emotional support of their own during what is normally an extremely stressful and trying time. By attending meetings and continuing to learn about supporting the recovering addict, it will help them to stay away from the destructive cycle of codependency and enabling, as well as realize the full benefits of the addiction therapy. When a family member has an addiction problem, it truly is one of the toughest situations for that family. But with the proper support and education about treatment and the treatment process, it will help the recovery process go along as smoothly as possible. This support and education will also help the family avoid contributing to any behaviors that may have been unhealthy and enabling the recovering addict. By working together, the recovering addict and their family will be able to rebuild their relationships and bring themselves back together again. Becoming a better person by getting sober.